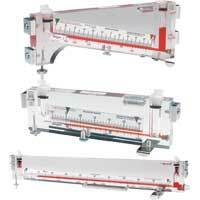 Manometers are portable test equipment that indicate single or differential pressure. Air velocity is measured in some models. Portable manometer test equipment indicates pressure. Applications include filter monitoring, laboratories, fan status, duct static pressure, and field calibration of other instruments. 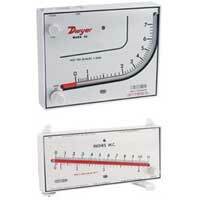 Dwyer's manometers are precision instruments in inclined and vertical styles. Most versatile and useful low cost manometers we know of. 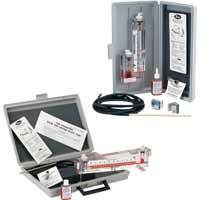 Air Velocity instruments are portable manometers which indicate pressure and air velocity. 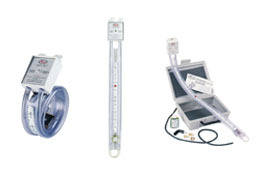 Dwyer's air velocity models are accurate instruments designed for measurement of low differential pressures in laboratory and test applications. Ideal for measurement of low range gas and air pressures, positive, negative or differential. What is the advantage of using a manometer rather than a Magnehelic® gage? 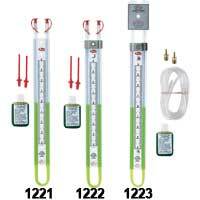 Why doesn't 1 inch on the scale of a 1223-12-D manometer equal 1 inch on a ruler? The calibration scale on the manometer has been compensated for the specific gravity of red gage fluid which is less than water. 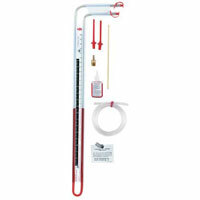 Since water will not mix with oil, why can't a D-style manometer be used to measure water pressures? The weight of the water itself is also being measured which results in erroneous readings. 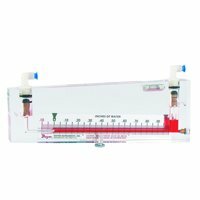 What are the principle advantages of red gage fluid over water for use in manometers? 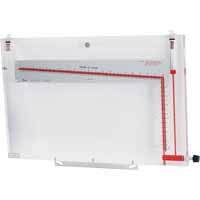 Red gage fluid is slow to evaporate, won't freeze, is more readable and produces slightly expanded scales for better reading resolution. Will the water manometers freeze? 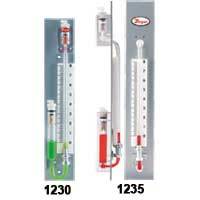 Yes, if the temperature drops below 32 degrees Fahrenheit, the fluid in the manometer will freeze. The fluid used in "W/M" style manometers is water-based with a small amount of fluorescent green fluid to enhance the meniscus. The other gage fluids have a lower freezing point, however, it is recommended that the manometers be stored above 32 degrees Fahrenheit.